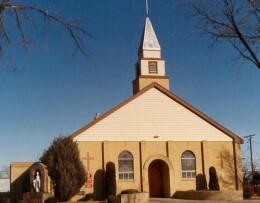 Cortez is in the 4-Corners area, near where 4 states come together at one point. The geography varies in each direction: mountains to the east, desert to the southwest, and dryland farming to the northwest. It is near Ute and Navajo Indian reservations and Mesa Verde National Park. 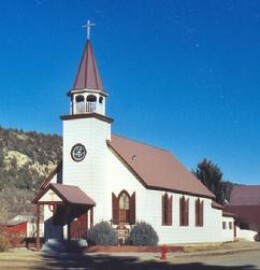 The church was built in 1948. 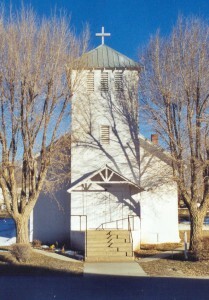 In the late 1970′s an addition was made to the rear of the structure to serve as the Church Hall and meeting place. 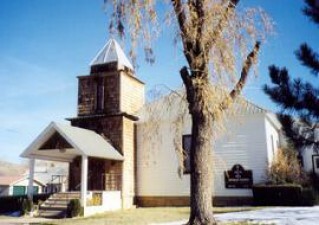 An office building and rectory are located next to the church. St. Margaret Mary Alacoque was a french Roman Catholic nun and mystic (July 22, 1647 – Oct 17, 1690). She, along with St. Claude de la Columbiere, S.J., a confessor for a time for the sisters of the Visitation Order of nuns to which she belonged, promulgated devotion to the Sacred Heart of Jesus. Her feast day is October 17. 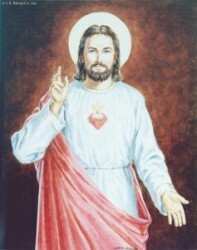 The Solemnity of the Most Sacred Heart of Jesus is June 15.